However, one thing has been super clear for many years, and it hasn’t changed in 2016 — Republicans absolutely love extremely harmful sources of energy. By “harmful,” or “polluting,” or “dirty,” what we really mean, of course, is deadly. Apparently, it doesn’t matter to these politicians that we now have cost-competitive clean energy sources and electric cars. It doesn’t matter that a large portion of their constituents want clean energy and EVs. It doesn’t matter that their big political sponsors want clean energy and EVs. 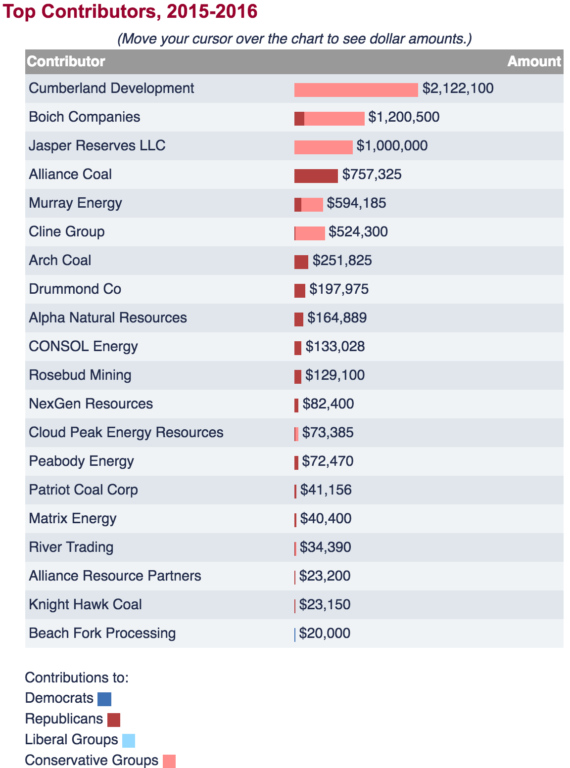 Whoops — many of their big sponsors actually come from the coal, oil, and gas industries. How much blue do you see in those charts? Hahaha. That would be the day. Donald has proposed what is essentially the worst energy policy in the history of US presidential elections. 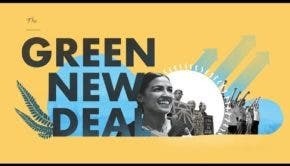 It is 100% about promoting deadly fossil fuels. It’s hard to know what Donald actually thinks about various energy sources, especially since he has such a habit of changing his mind on specific statements — even in under a minute. Of course, that’s the story with almost everything else as well — just not his agenda against brown people. However, Donald has been bashing wind energy for years (see here, here, here, here, and especially here), has claimed global warming is a hoax created by the Chinese, has never said a nice thing about solar energy as far as I’ve seen, has never said a nice thing about electric vehicles (other than golf carts) as far as I’ve seen, and recently bashed solar and wind using very outdated and incorrect myths. It doesn’t really make any sense. From a political perspective, talking nicely about clean energy and pretending you will support it is a winning strategy. Even former GOP presidential candidates did this to some extent. But not Donald — he won’t pretend to care about the people harmed and killed by coal, oil, and gas pollution. Notably, Donald has lavished praise on Harold Hamm several times, and he is reportedly considering Hamm for Secretary of Energy — if the real estate and casino “philanthropist” somehow manages to beat these odds. Hamm is, of course, an oil & gas billionaire. Hamm was one of the 13 members of the “economic team” Donald cluelessly announced last week. The team consisted of extremely rich, old, white men who had donated a healthy heaping of money to Donald’s campaign. (Hmm, I feel like someone was supposedly not taking money from rich people looking for favors.) You can read more about Donald’s rich, old, almost entirely white, and 100% male economic team here, here, here, and here. If you dare. 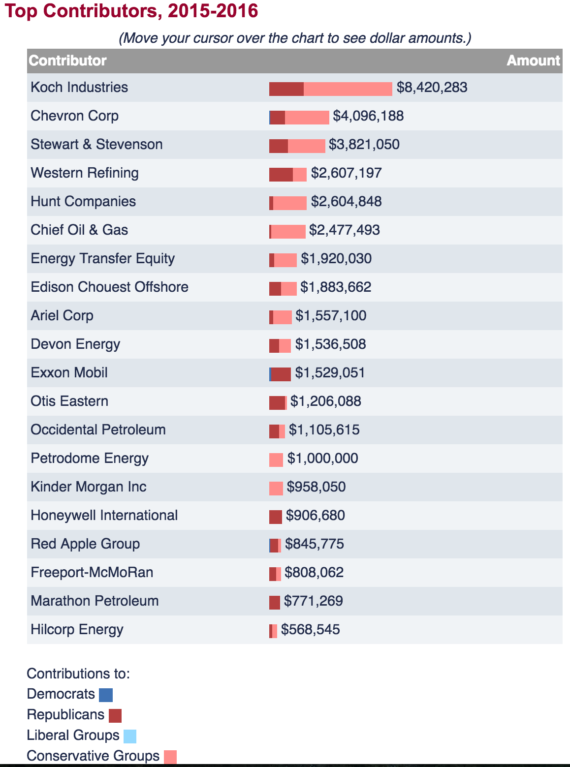 Given what Donald Trump has said about clean energy (before and since running for president), who he has taken on board as advisers, and who he has taken money from, Donald’s theoretical climate and energy preferences look pretty straightforward. Is “Pro Life” A Gimmick? I understand well enough what the phrase “pro life” is used for, but it is absurd to me that people claiming to be “pro life” are in favor of human-killing forms of energy when we have cheaper clean alternatives today. It is hypocrisy — and not an innocent form of hypocrisy. Being anti-cleantech means being anti-American, anti-human, anti-life. The fact that Republican politicians take tens of millions of dollars from polluting industries and then fight and vote against humanity on practically every energy issue is a straight deal-breaker for me — even if all of their other proposals were up my alley. This absurd and obsessive deadly bias is too nefarious to forgive at the voting box.